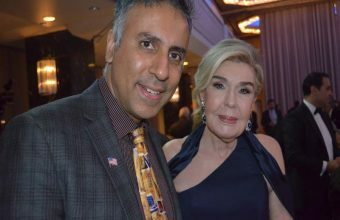 The Hellenic Initiative’s 5th Annual Gala on September 29 2017, Supports Entrepreneurial Programs in Greece Event Honors UNESCO Goodwill Ambassador Marianna V. Vardinoyannis and The Hellenic Entrepreneurship Award Funded by The Libra Group. 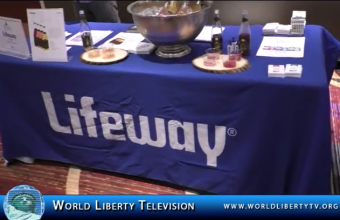 Close to 900 People were in attendance, from all over the World, See more about ,The Hellenic Initiative’s 5th Annual Gala NYC-2017 in our World Liberty TV ,Cultural Channel by clicking here. For one week, from September 25 – 29 in New York City, leaders from the advertising, marketing, media and related creative industries will join together to share their visions, passions and best practices, and engage in conversations about the many issues, opportunities and challenges facing the industry today. 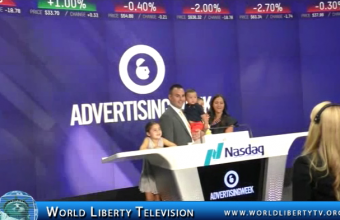 See more about Advertising New York Week 2017 in our World Liberty TV Business Channel by Clicking here. Asian In NY 2017 Fashion Show was held on o Sat 9/23/2017 from 2pm-4pm at China Institute New York featured Asian fashion designers, brands and models. This was the largest Asian fashion runway show in New York. Alexander King Chen: Born in the USA, Alexander King Chen is currently one of the most volcanic young fashion designers in the Chinese speaking world. Edison Lu: Edison Lu and the Taiwanese famous actor Mike He debuted their menswear fashion brand “To Be THRILL” during New York Fashion Men’s Week in July 2017 and has received a lot of media attention. Liling Wang: The main image set by the designer, anti-conformist and even rebellious at times. 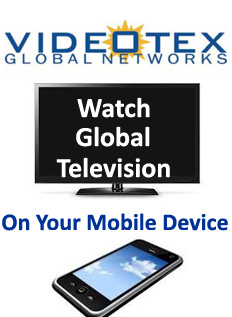 In which showcase a glowing fashion wave of luxury, technology and oriental flavor. Danny Nguyen: He has his own studio for alterations and design entitled DNC (Danny Nguyen Couture) in which he spends a great deal of time pursuing his dream which dances at the end of every needle he drives into his next exquisite creation. Jennifer Chen: Jennifer Chen is the creative director and co-owner of Snowman New York. Known for their New York City attitude, SNOWMAN New York brings the urban experience and adoration for city life. Wendy Chen: Wendy Chen is a jewelry designer based in NYC. She established the foundation of her design career as an interior designer at a prominent NYC architectural firm. Special performance was by , Melody Yeung Singing and performing since the age of 4, Melody was a singer-songwriter in Taiwan.., Simon C.F. Yu Musician, Emcee of the event was Jocelyn Chia is a New York based stand-up comedian and actress originally from Singapore. Close to 400 people were in attendance , enjoying the largest Asian fashion runway show in New York. 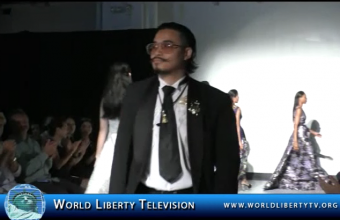 See more similar designers in World Liberty TV Fashion Channel by Clicking here. 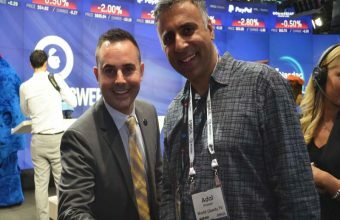 The Editor Showcase series is a private brand-to-press networking event in the heart of New York City designed to give your brand valuable face time with influential media outlets. 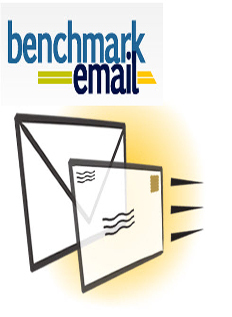 This three hour power networking event provides premium brand placement in front of top-tier editors. 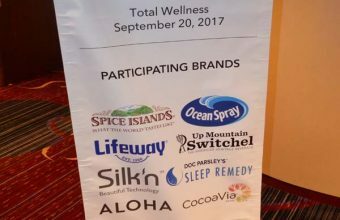 See more about Editor Showcase: Total Wellness NYC-2017 in our World Liberty TV Health & Fitness Channel by clicking here. “This fight is happening because Deontay Wilder wants to beat the best, regardless of the risk,” promoter Lou DiBella said. “He will knock ‘King Kong’ off the Empire State Building for the world to see. 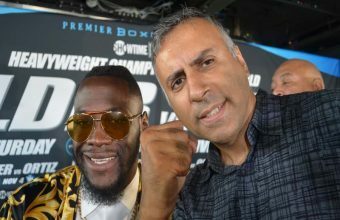 This fight is happening because Deontay Wilder wants the world to know that he is afraid of no one, and that he’s prepared to fight anyone, and he’s the best heavyweight in the world today. I could not be prouder of him for making this fight happen. 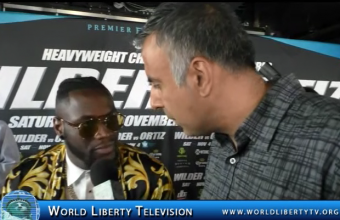 See more about Deontay Wilder VS Luis Ortiz Heavyweight World Title Showdown Press Conference-2017 in our World Liberty TV Boxing Channel by Clicking here. Chopra argues that everything that happens in the mind and brain is physically represented elsewhere in the body, with mental states (thoughts, feelings, perceptions and memories) directly influencing physiology by means of neurotransmitters such as dopamine, oxytocin and serotonin. 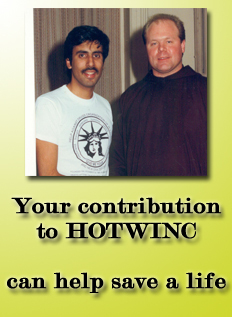 He has stated, “Your mind, your body and your consciousness – which is your spirit – and your social interactions, your personal relationships, your environment, how you deal with the environment, and your biology are all inextricably woven into a single process … By influencing one, you influence everything. 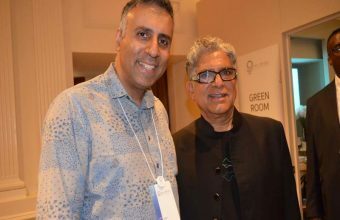 Deepak Chopra Spoke at Misk Foundation NYC-2017, See it right here in World Liberty TV Cultural Channel by clicking here. The MiSK-UNDP Youth Forum bought together 400 individuals, including world leaders, UN representatives, young leaders, students, philanthropists and entrepreneurs. The MiSK-UNDP Youth Forum is a call to action platform with the aim to create a path towards the Sustainable Development Goals (SDGs) through fostering inter-cultural understanding, tolerance, mutual respect and an ethic of global citizenship and shared responsibility. The Forum will feature a full day of high-level panel discussions and collaborative workshops. Hosted by Bloomberg, in partnership with the Alibaba Group; MiSK, the philanthropic foundation of Deputy Crown Prince Mohammed bin Salman of Saudi Arabia, and others, the Global Business Forum will convene heads of state, CEOs, and NGOs to work together to inspire and support economic prosperity. The MiSK-UNDP Youth Forum took place in The Plaza Hotel, located in the heart of New York City.See more articles like MISK ,in our World Liberty TV Humanitarian Channel by clicking here.